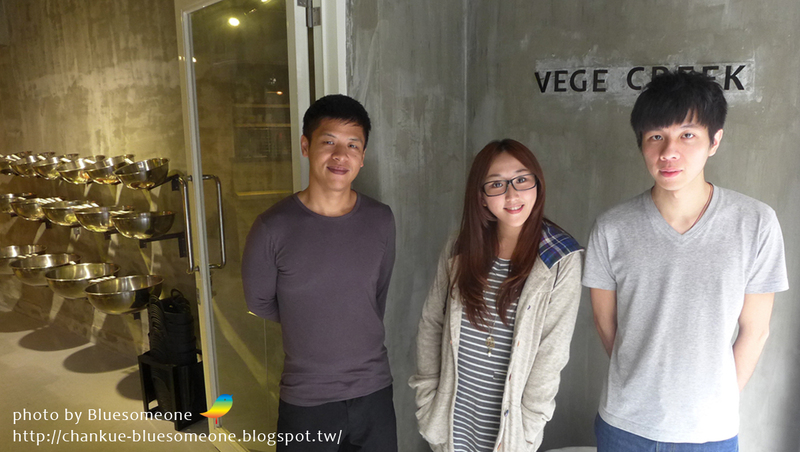 There’s a marvelous vegan soya-mixed meat restaurant "VEGE CREEK" in Daan(大安) area in Taipei. 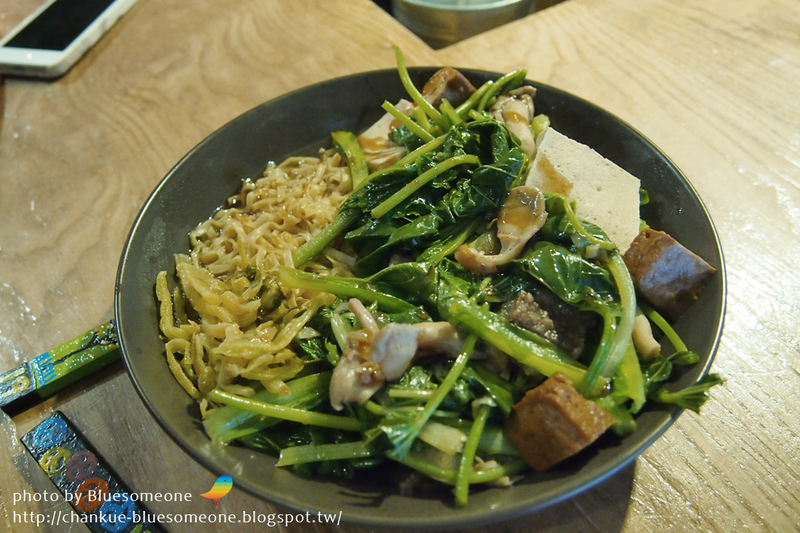 In Taiwan, most of soya-mixed meat sellers are vendors, and usual veggie soya-mixed meat stores contain materials made by milk and egg, and cooked in the same one pot, which is not very suitable for strict vegan ones. 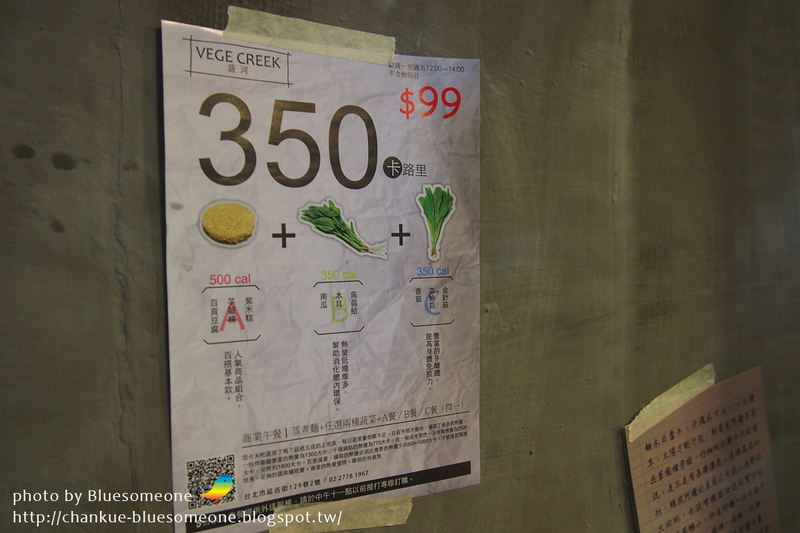 But VEGE CREEK is different, all food materials including soup origin, veggie meat and so on, ALL VEGAN! VEGE CREEK locates an alley in Yanji street(延吉街) in Daan area. Low key without a marked signboard but with a white concise sign flat you can recognize at one glance. 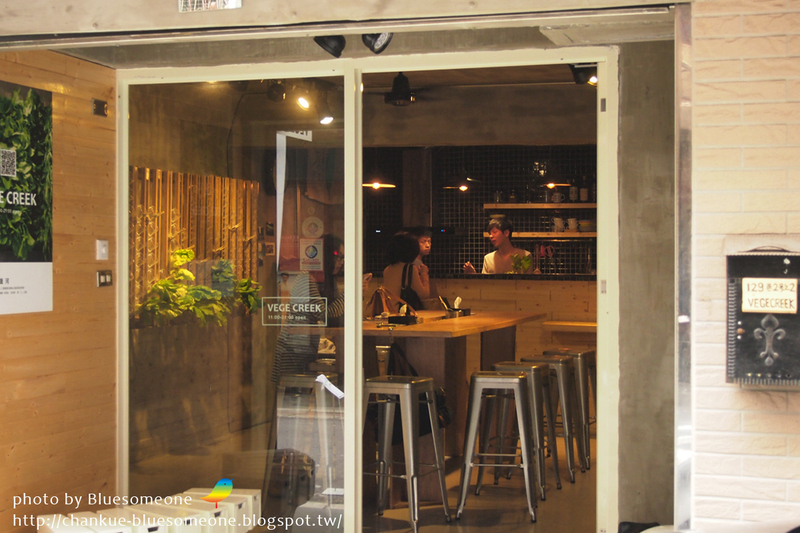 The storefront is not large with around ten seats, where all the customers need to share one big table having meal. Although just a small place, it makes one feel spacious with its simple and well-executed decorating. Quite gray concrete wall with compatible wood color, kind of fashion! Both sides of the meal table are materials picking area, one side are vegetables, another are others food ingredients. I think the route quiet nice which solves the crowds in traditional soya-mixed meat vendors. 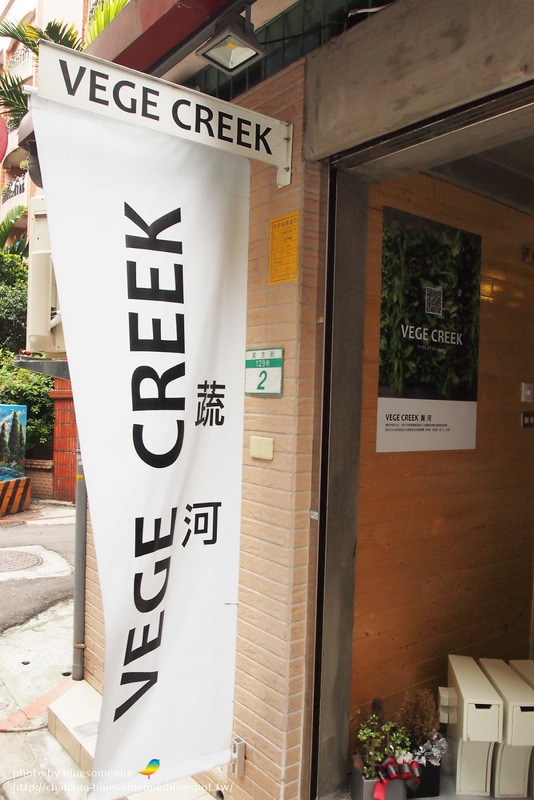 In VEGE CREEK, you could be more gentle and elegant like shopping in the supermarket. 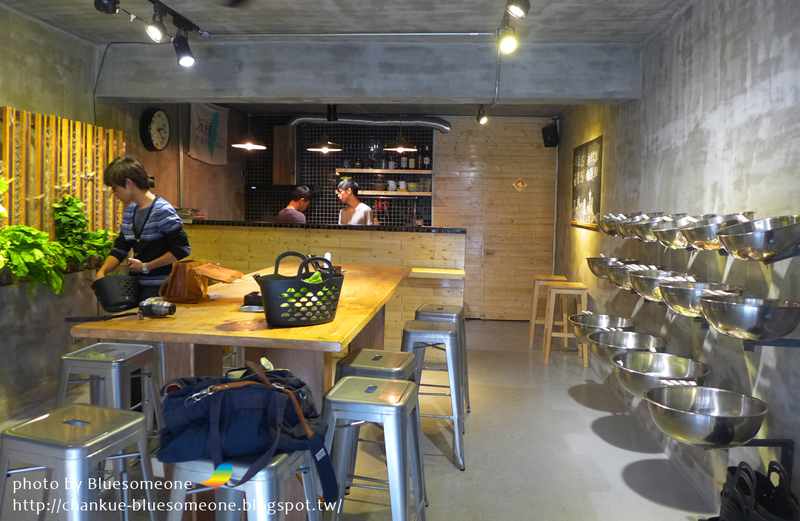 Pick whatever you like, give them to the chef, and just wait a delicate to come~ I really enjoy the way. Because it was quite late after the rush time when I went there for lunch, the vegetables on the shelves almost left nothing (they run their business well). 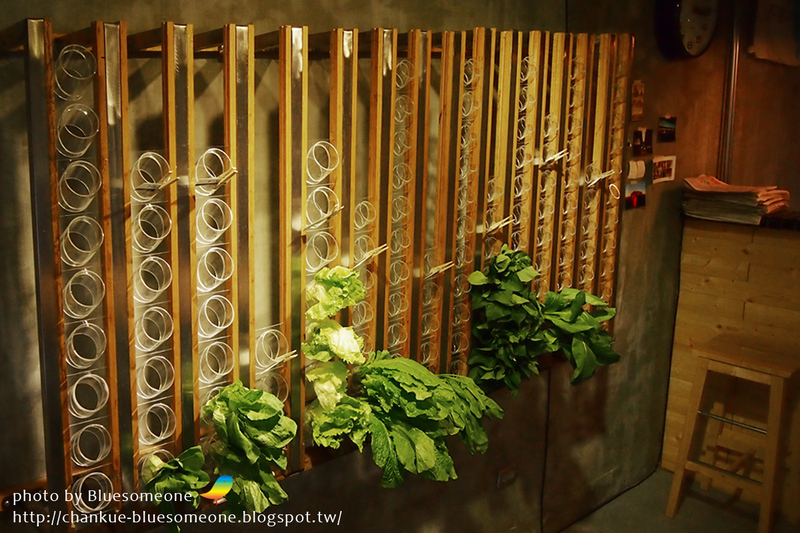 The special vegetable shelf makes the green look pretty. 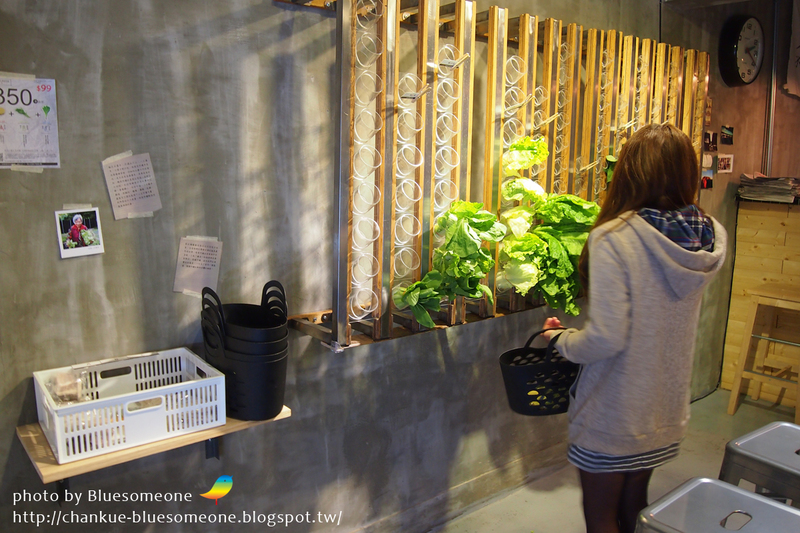 The owners the shelves were special designed, just draw what you want with the vegetable cup, the one upon will fall down automatically. Wow! like a vending machine! The design not only beautiful but also make a distance from vegetables avoiding crushing. Some vegetables here is “Directly sending from place of origin” by owner’s grandmother! Organic farming instead of pesticide. 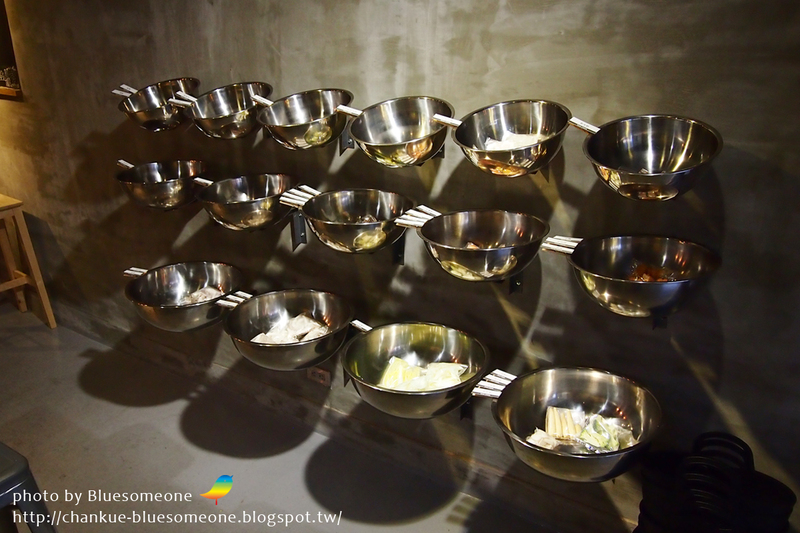 This ingredients area in the other side uses steel basin as containers, with two or three condiments every basin, really abundant. Every material is wrapped with small bug, kind of clean. 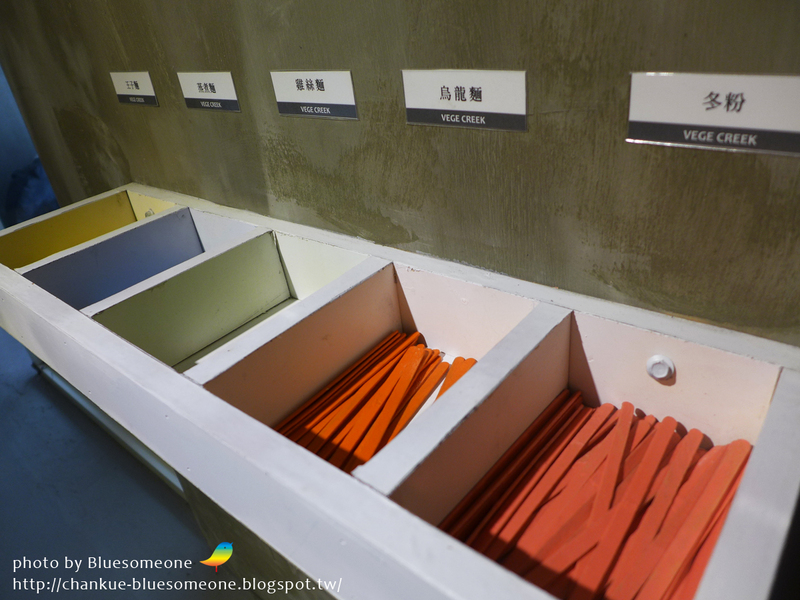 Here is noodle selecting area, 5 wood-bar with different colors mean different kinds of noodles. It’s really a smart way, sparing the space for stacking noodles. How lucky I am! just met the time for business lunch discount! I have to say that this discount is really making sense, one noodle plus two kinds of vegetable with 3 condiments (A,B,C meal with mushroom and veggie soya-mixed meat materials) only 99 NTD in total! 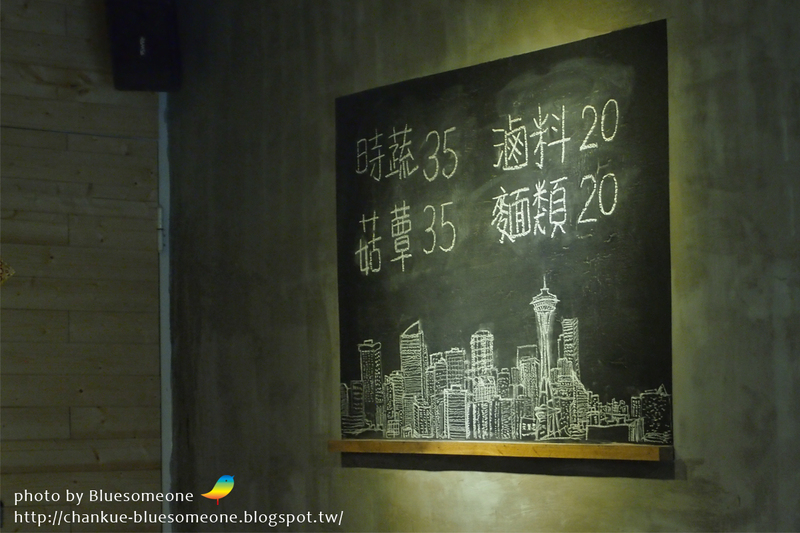 The normal price is like the picture, not so cheap (Because in the Taipei downtown Daan area), in a comparison business lunch is really valuable. 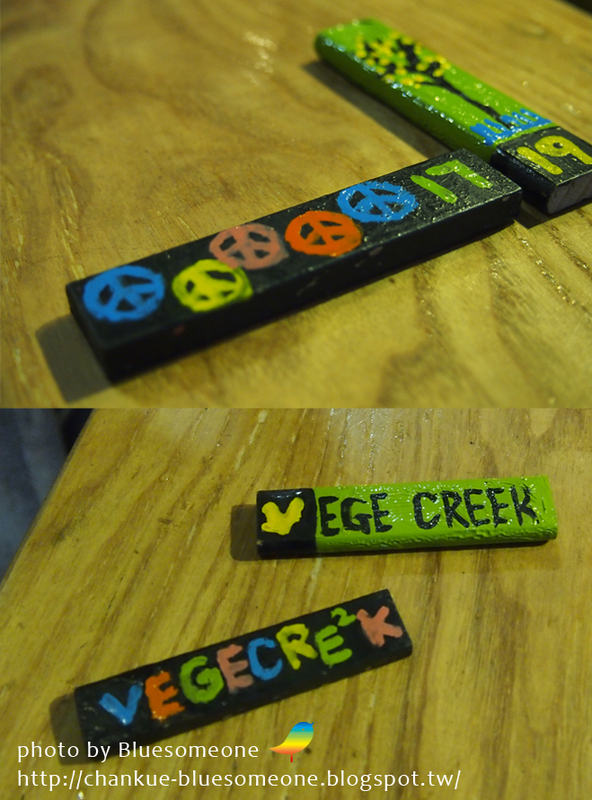 Take the materials to the counter, and the owner will give you a number plate, handmade also, so cute! Friends and me individually ordered a full bowl as picture! We both chose the 99 dollars business lunch plush two or three condiments, 200 more in total, for the lunch in Taipei is quite economic and valuable. For who became vegetarian for longer time may feel the soup a little salty, but for is very nice. The soup seems to mix some Chinese medicine, tasted dense. The best is every food material tasty by the marinade without overcook, every taste you can taste the yummy marinade. At last I cannot but follow conventional practice to take a picture with owners, two of whom are handsome boys. 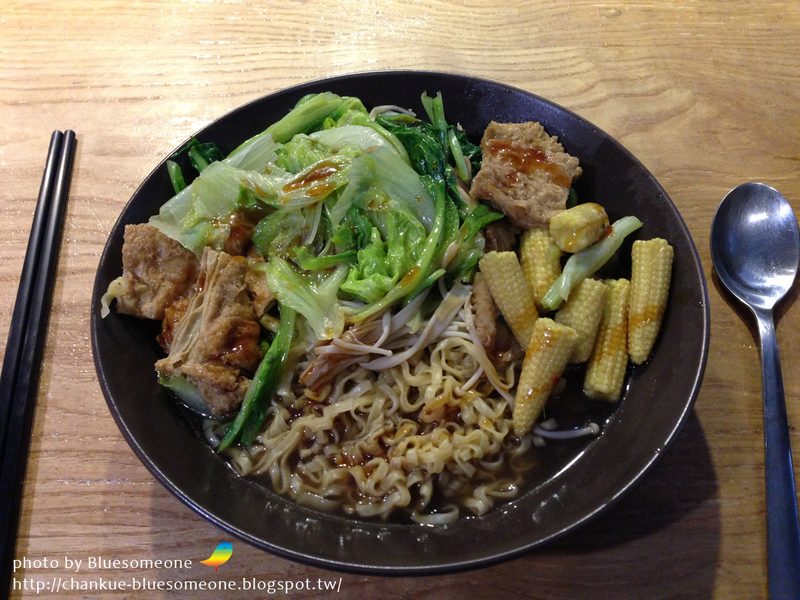 The owner said, the original intention for they ran a vegan soya-mixed meat is everybody can enjoy nutritious and delicious vegetables.